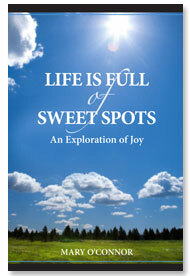 Good morning wishes to all my friends and believers that life is truly full of sweet spots. May you enjoy your day! May I thank you, Mary, for sharing all your lovely inspirations and beautiful photographs with us too! thank you Mary, what better way to start the day. thanks, and you can end it with a swim in the bay!